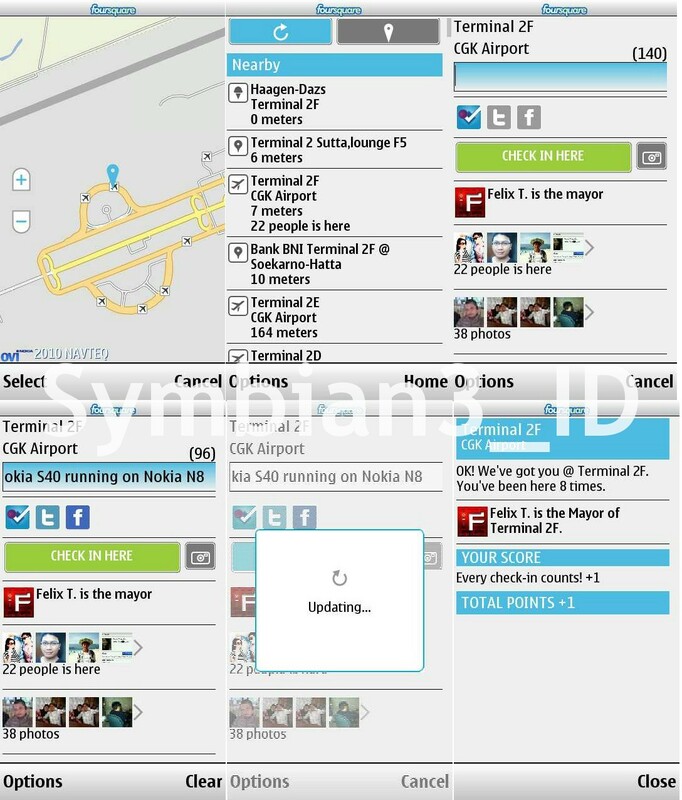 Some time ago, foursquare for Nokia S40 gets updated version. 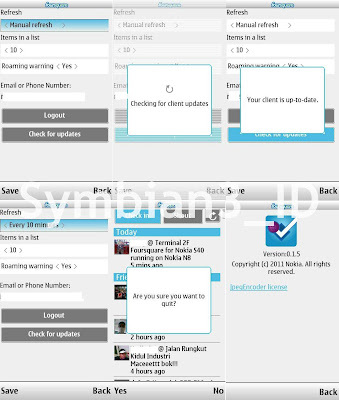 With this latest version, a number of new features added and increase the performance of this application. 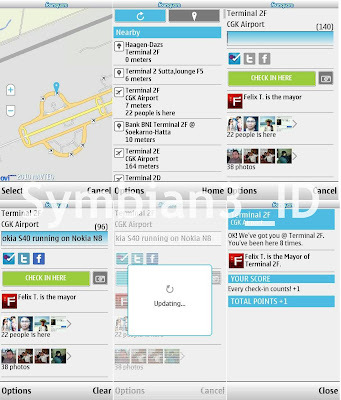 Foursquare for Nokia S40 is java based, designed for Non-GPS Nokia S40 devices. Therefore the user must choose the location where user is located, then this application find some places nearby. 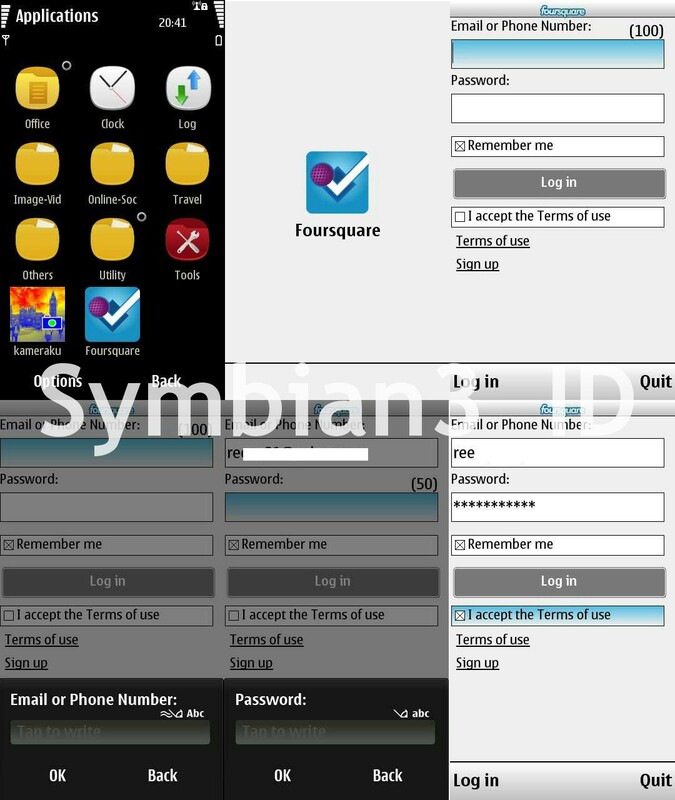 Foursquare for symbian actually already exists and is better than foursquare for Nokia S40. 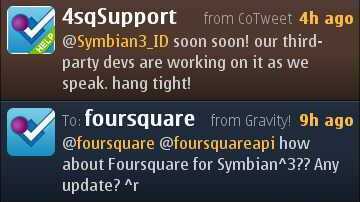 But until now there is no updated version, whereas from 1 August 2011, foursquare will disable the "foursquare API version 1". However, yesterday foursquare promised that the updated version of foursquare for Symbian will be released soon. 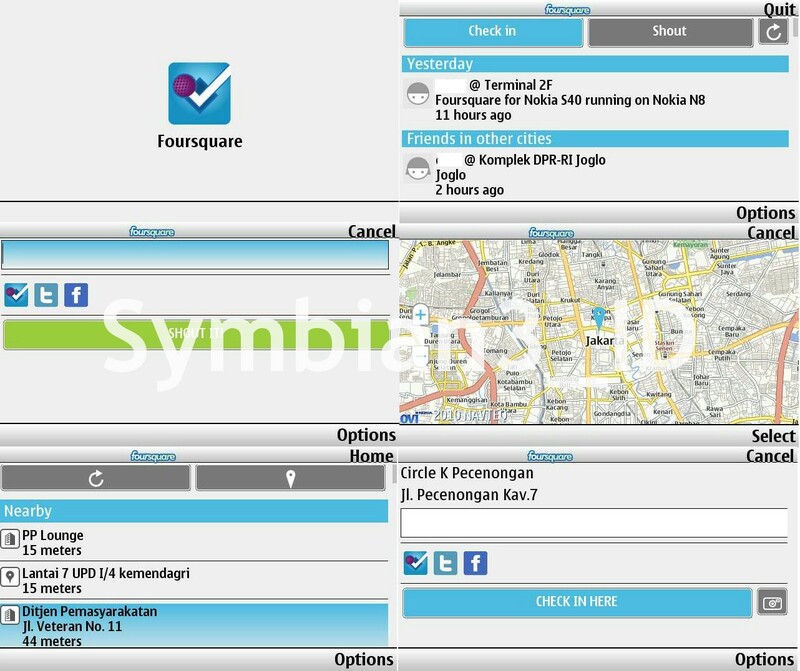 Yesterday, I download a .Jad file of foursquare for Nokia S40 for trying to run on my Nokia N8. 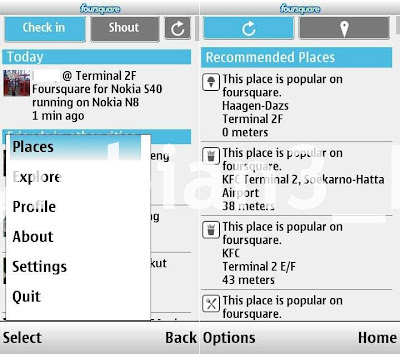 In my mind, foursquare for Nokia S40 can be run on the Nokia N8 because the application is java based, but may not support the Touch Function and should use the "On-Screen keypad ". 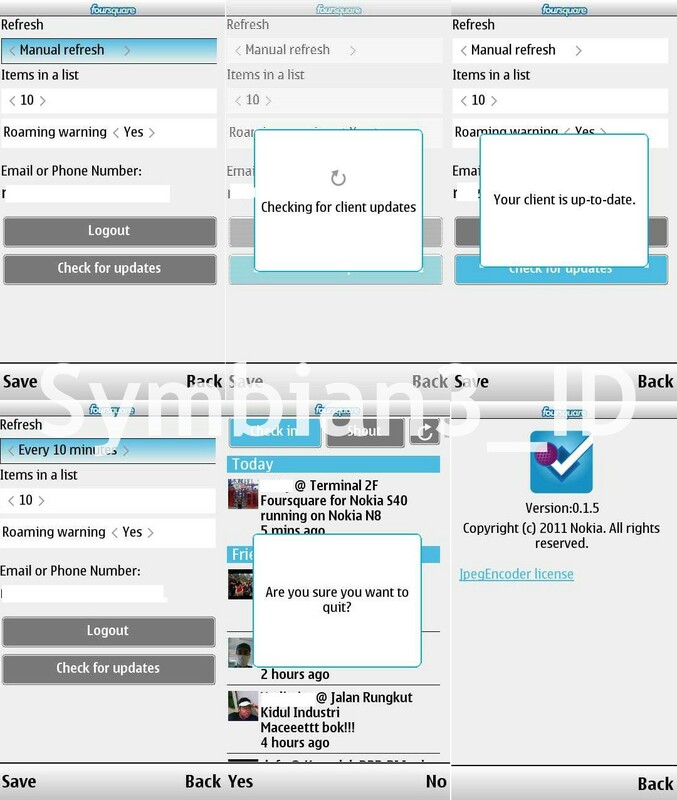 But I'm totally wrong, foursquare for Nokia S40 is support the Touch Function, running smoothly in my Nokia N8 even in landscape mode as well displayed properly. But Capture & Upload feature doesn't work properly. 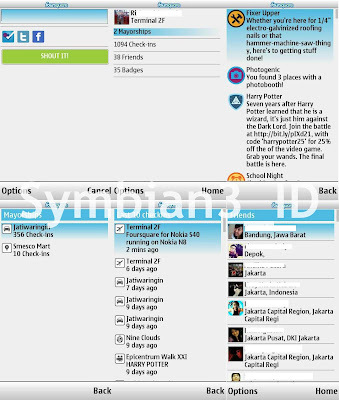 The following preview foursquare for Nokia S40 running on Nokia N8 (Symbian Anna FW 22 014 Dark Grey - APAC Indonesia).